These little cuties were a thorn in my side this weekend. I had never made them before and I am making them for an order. I couldn't come up with an original idea so I cased my friend Joanna's. I thought how hard can they be right? Now I could make them with my eyes closed but the first several times were not so easy. This information will help you if you want to make them so you don't make the same mistakes that I did. First I cut 6 pieces of cardstock. Scored it, then I punched the holes. Then I couldn't figure out how to add the ribbon. So I went back and looked at my example and I wasn't supposed to punch the hole yet and there was supposed to be white on the front. So I cut 6 more, scored them, then added the white piece of paper. Punched the hole but I still couldn't figure out how to add the ribbon. DUH the ribbon goes between the white and blue cardstock. Then I realized that I didn't have a small enough punch. I was using the CM cutting tools. So I called my demo and drove over to borrow her 1 inch punch. That is the perfect size. For the eyes I used a hand circle punch and punched them on black and ran them through the xyron as well as the noses. I punched two more of the one inch circles for the snowman body. 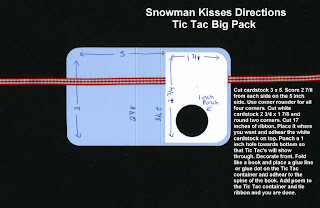 To adhere the Tic Tac Big Pack to the holder, I used Glue lines. Just like glue dots only they are lines. I mostly use them for adhering ribbon so it doesn't move around but they worked great for this. & full of good wishes. These are adorble, great job. See, if I could give as good of instructions as you, you wouldn't have had all the trouble in the first place!! heehee Yours turned out fabulous!! Great job! They came out great! I am sure it was frustrating, but reading your story sounds so familiar! I am sure I have done the same thing more than a time or two! Thanks for the great instructions!! Happy new year!! Rochelle ~ These are just precious!! I'm saving this post so I can make some for the people I work with. Thanks for the tutorial. Happy New Year! They are just adorable! My kids bday party is Sunday and I need something else for their goody bags -- if I can find the Tic Tacs this will be it. Too darn cute and great directions! Happy New Year!! Big hugs and smiles! These are adorable! Thanks so much for adding the dimensions and directions! Happy New Year! ADORABLE Rochelle!!! 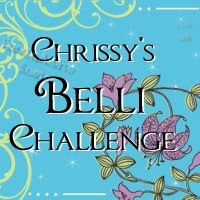 I am casing this idea big time!!! This is so funny -- I made some almost identical to these on Christmas Eve and had a similarly frustrating experience. I think I successfully made six, ran out of time and then never went back to make the rest I intended to. They ARE adorable, though, and the kids loved them! I will remember you have the dimensions on your blog for future tic tac folders! 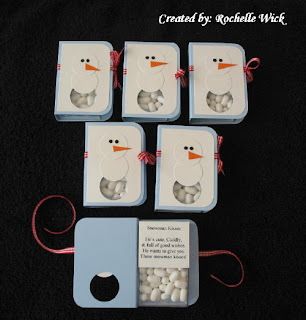 Love this idea, Rochelle. Very cute. Thanks so much for sharing this tutorial and your helpful tips :) I can't wait to have a go of these myself!